I will be doing more Deep Learning and Convolutional Neural Network tutorials on the PyImageSearch blog over the coming months. I’m dead serious about this — and I’ve put my money where my mouth is and invested in some real hardware for deep learning. To learn more about my investment, the NVIDIA DIGITS DevBox, and the new tutorials coming to the PyImageSearch blog, keep reading. For anyone that is interested in the NVIDIA DIGITS DevBox for deep learning — and perhaps more importantly, the rational that led to me purchasing a pre-configured deep learning system instead of building my own — I’ve included my experience in working through the decision process, making the purchase, and unboxing the system. In future blog posts, I’ll be reviewing how I’ve setup and configured the system for my own optimal setup. Let me tell you: the NVIDIA DIGITS DevBox is a beast. Core i7-5930K 6 core processor operating at 3.5GHz. This machine is no joke — and it’s not cheap either. Weighing in at $15,000, this isn’t your standard desktop machine — this system is intended for researchers, companies, and universities that are doing real work in deep learning. The blogger who writes weekly blog posts and email announcements. The wordsmith, teacher, and educator who has authored Practical Python and OpenCV as well as the PyImageSearch Gurus course. But there is also a third side that doesn’t often get discussed on the PyImageSearch blog (besides the occasional note here and there): the entrepreneur and (occasional) consultant. It’s becoming increasingly rare that I can take on new consulting/contracting work, but when I do, I tend to be very selective about what the project and budget is. And over the past few years, I’ve noticed I’ve been using more and more deep learning within my projects (both for contracting work and for personal/business projects). This may appear in stark contrast (and on the surface, perhaps a bit hypocritical) to my blog post on getting off the deep learning bandwagon — but the title of that article wasn’t the primary point. Deep learning, just like Support Vector Machines, Random Forests, and other machine learning algorithms all have a rational process and assumptions to when we should use each particular model. There is a time and a place where we use deep learning — you just need to be mindful in your selection of algorithms for a particular program. My hope in publishing deep learning tutorials on the PyImageSearch blog is to better illuminate when and where deep learning is appropriate for computer vision tasks. So what does this have to do with the PyImageSearch blog? What I love about running the PyImageSearch blog is writing tutorials related to what you, the reader, want to hear about. Every day I get more and more requests for deep learning tutorials. 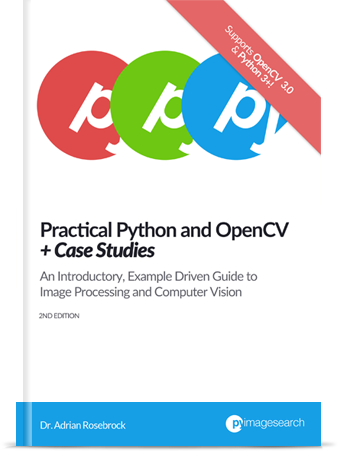 And up until 2 months ago, I was still writing the PyImageSearch Gurus course. I simply did not have the time, energy, or attention span to start planning out deep learning tutorials — which by their very definition take a lot more time and effort (in terms of thought process, computational effort, and experiments) for me to create. Now that I’ve finished writing the PyImageSearch Gurus course, I’ve reclaimed a bit of my time. But more importantly, I’ve reclaimed a bunch of my energy and attention — both of which are critical in creating high-quality tutorials. Over the years I spent in graduate school, writing my dissertation, running the PyImageSearch blog, authoring Practical Python and OpenCV, and creating the PyImageSearch Gurus course, I’ve mastered the ability to bang out 5,000+ words in a single sitting. Time isn’t a problem for me when it comes to writing — what really matters are my energy and attention levels. Over the next year, you can expect more deep learning tutorials to be published on the PyImageSearch blog. It won’t be an immediate change, but it will slowly ramp up over the next 3-4 months as I start creating a backlog of posts. If you’re interested in deep learning, specifically deep learning and computer vision, PyImageSearch is the place to be. Okay, so I’ve already mentioned that I invested $15,000 in an NVIDIA DIGITS DevBox — that’s not a small amount of money by any means. So how did I justify this huge number? As I mentioned above, I’m an entrepreneur, a scientist, and at heart, a business person — this implies there is (some sort of) logic behind my actions. If you show me the numbers, they work out, and they align with my goals — I can justify the investment and plan accordingly. Fact #1: I am currently spending either $0.65 per hour on an Amazon EC2 g2.2xlarge instance or $2.60 per hour on an g2.8xlarge instance. Most of my EC2 hours are spent using a g2.8xlarge instance. Fact #2: Both of these EC2 instances have less RAM than the NVIDIA DIGITS DevBox. And based on the way Amazon computes virtual-CPUs, the g2.8xlarge has only marginally better CPU (again, if you can trust the vCPU allocation). Fact #3: Currently, EC2 GPU instances have only 4GB of memory with 1,536 cores (the Titan X has 12GB memory and 3,072 cores). Fact #4: The NVIDIA DIGITS DevBox has 4 Titan X GPUs (totaling 48GB of memory). The g2.8xlarge has 4 K520 GPUs (totaling 16GB of memory). Fact #5: 4GB alone just doesn’t cut it for larger datasets without spreading computation across multiple GPUs. That’s fine, but doesn’t seem worth it in the long run. Ideally, I can run either four experiments in parallel or spread the computation across four cards, thereby decreasing the time it takes to train a given model. The Titan X is clearly the winner here. 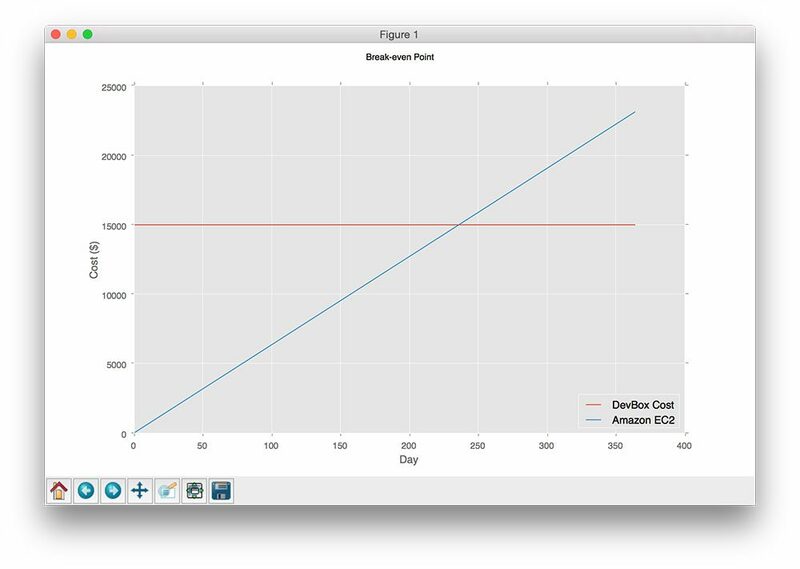 Figure 1: Plotting the intersection between the EC2 g2.8xlarge hourly rate and the upfront cost of $15,000 for the NVIDIA DIGITS DevBox. The break-even point is at approximately 240 days. This gives me approximately 5,769 hours (~240 days) of compute time on an g2.8xlarge instance. Note: That’s 23,076 hours (2.6 years) on a g2.2xlarge instance — again, I’ll reiterate the point that I’m mainly using g2.8xlarge instances. With a break even point of only 240 days (where it can take days to weeks for a single model to train), the decision started to become more clear. I’ll get a fair amount of negative feedback for this point, but in my opinion, I tend to lean towards “done for you solutions”. Three reasons: I have limited time, energy, and attention. Anytime I can spend money to pay a professional to outsource a task that I am either (1) not good at, (2) don’t like doing, or (3) is not worth my time/energy, I’ll tend to move the task off my plate — this is the exact rationale that enables me to work smarter instead of harder. So, let’s presume that I could buy the hardware to create a comparable system to the NVIDIA DIGITS DevBox for approximately $8,000 — that saves me $7,000 right? I’m not going to say what my hourly consulting rate is, but let’s (for the sake of this argument) say I charge $250 per hour of my time: $7,000 / 250 per hour = 28 hours. Research the hardware I need. Get it all together in my office. Install the OS, software, drivers, etc. Can I do all this in 28 hours with minimum context switching? Honestly, I don’t know. I probably could. I’m not a hardware person, I don’t enjoy working with hardware — it’s just the way I’ve always been. If I build my own system, I’m my own support staff. But if I go with NVIDIA, I have the entire DevBox team to help support troubleshoot, and resolve the issue. 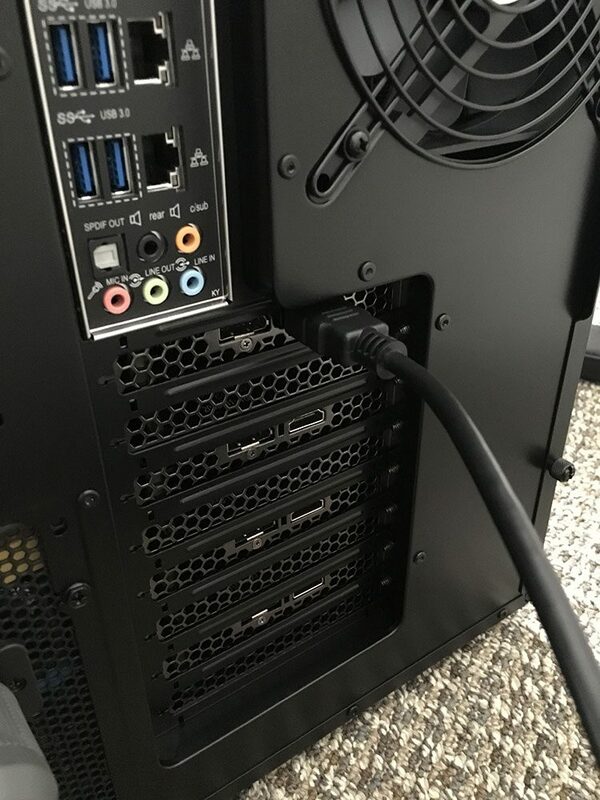 So, let’s say that it takes me a grand total of 15 hours to order the hardware, put it together, install the required components, and ensure that it’s working properly. That leaves me with 28 – 15 = 13 hours of my time left to handle any troubleshooting issues that occur over the lifetime of the machine. And from this perspective (i.e., my perspective), this investment makes sense. 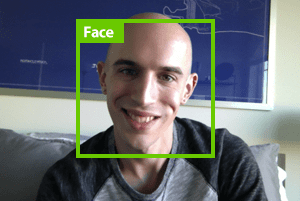 You may be in a totally different situation — but between the projects I’m currently working on, the companies I run, and the PyImageSearch blog, I’ll be utilizing deep learning a lot more in the coming future. Factor in the fact that I not only value my time, but also by energy and attention, this further justifies the upfront cost. 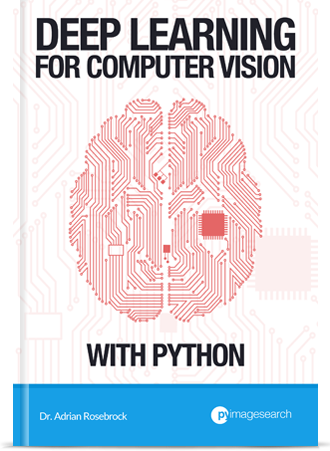 Plus, this better enables me to create awesome deep learning tutorials for the PyImageSearch blog. Note: I’m not factoring in the increase of my utility bill which will happen, but in the long run, this becomes marginalized due to my ability to save time, be more efficient, and ship faster. Placing an order for the NVIDIA DIGITS DevBox isn’t as simple as opening a webpage, entering your credit card information, and clicking the “Checkout” button. Instead, I needed to contact NVIDIA and fill out the access form. Within 48 hours I was in talks with a representative where I created the PO (Purchase Order) and shipment. Once the terms were agreed upon, I cut a check and overnighted it to NVIDIA. Overall, it was quite the painless process. However, I will note that if you’re not doing a lot of shipping/receiving, the actual shipment of the DevBox may be a bit confusing. I personally don’t have much experience in logistics, but luckily, my father does. I called him up for some clarity regarding “Freight terms” and “EX-WORKS”. NVIDIA will be putting together your system. But once it’s boxed up and on their loading bay, the responsibility is on you. I used my FedEx business account and shelled out extra cash for insurance on the shipment. Not a big deal. The only reason I included this section in the blog post is to help out others who are in a similar situation who may be unfamiliar with the terms. 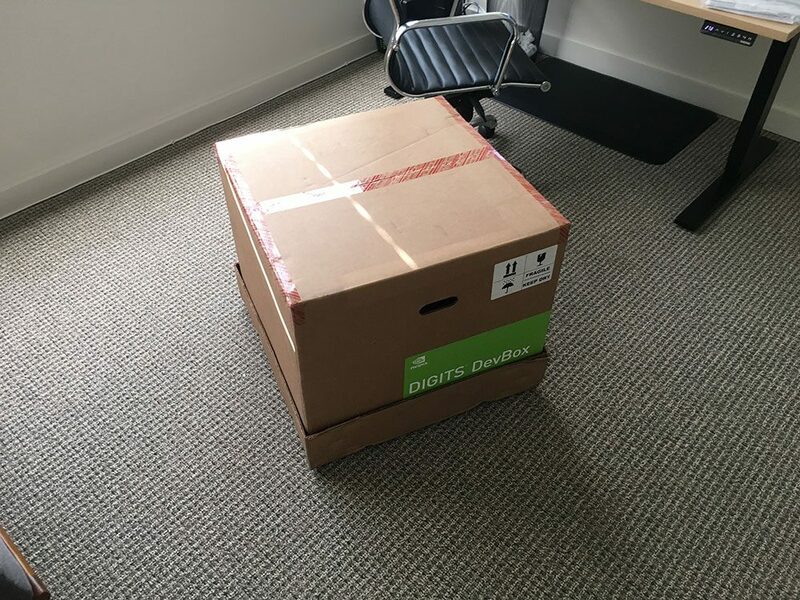 Figure 2: The box the NVIDIA Digits DevBox ships in. The DevBox is also very securely packed in a styrofoam container to prevent any damage to your machine. Figure 3: The NVIDIA DIGITS DevBox fully unboxed. 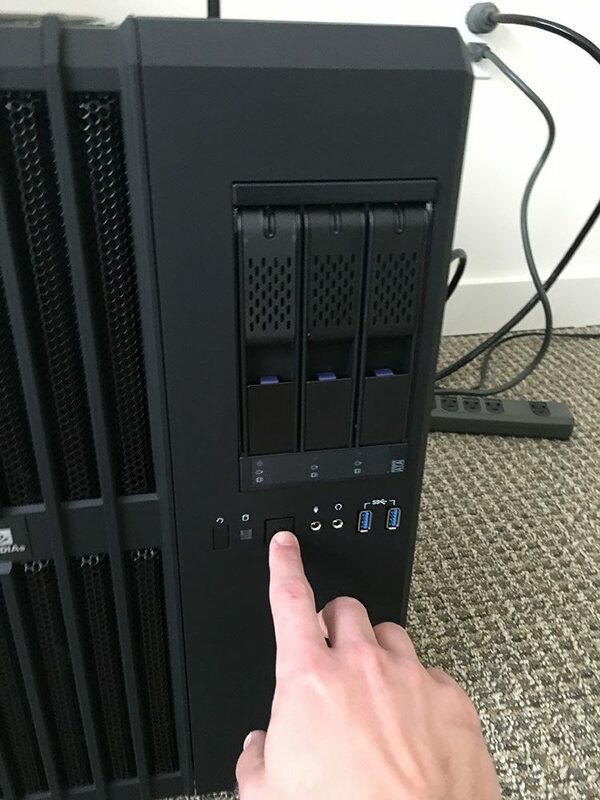 Figure 4: Three hard drive slots on the front of the DevBox. 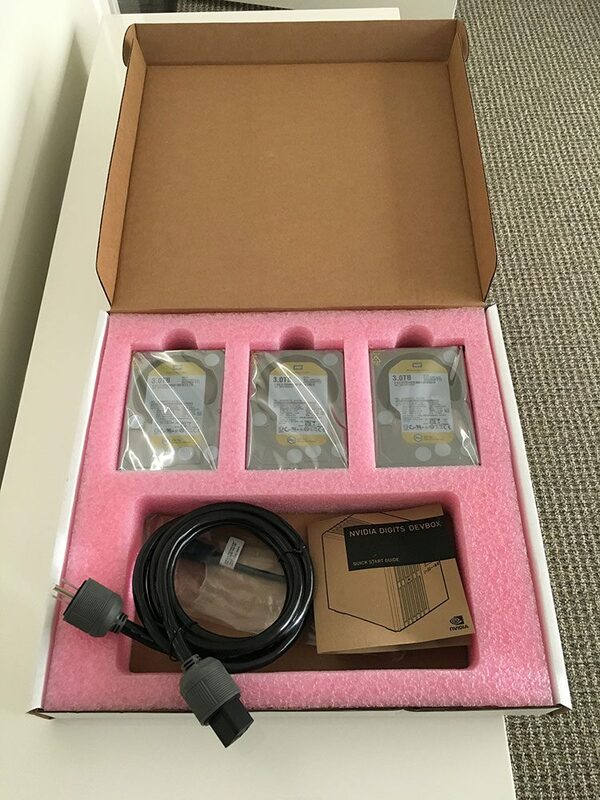 Figure 5: The DevBox ships with your 3TB hard drives. Luckily, you don’t need to purchase these separately. Figure 6: Slotting the drives into their respective bays is easy. 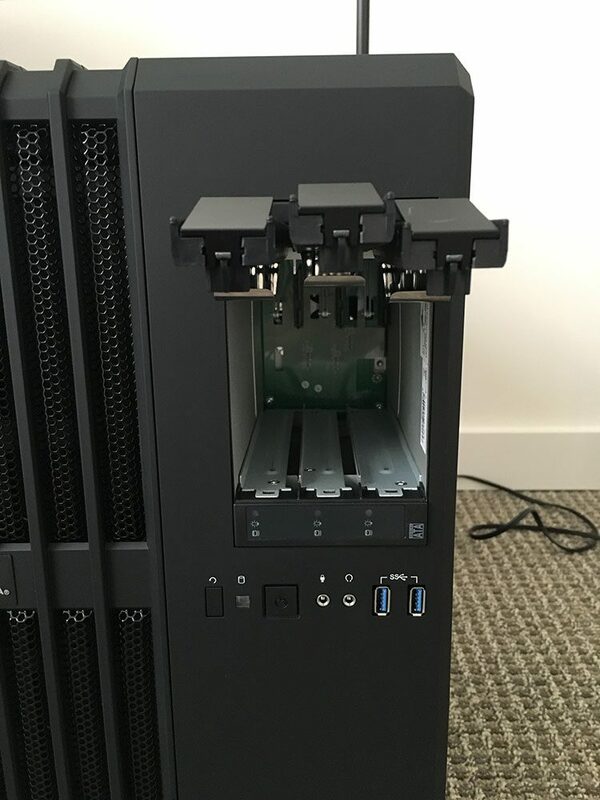 After slotting, the drives are securely locked in place. 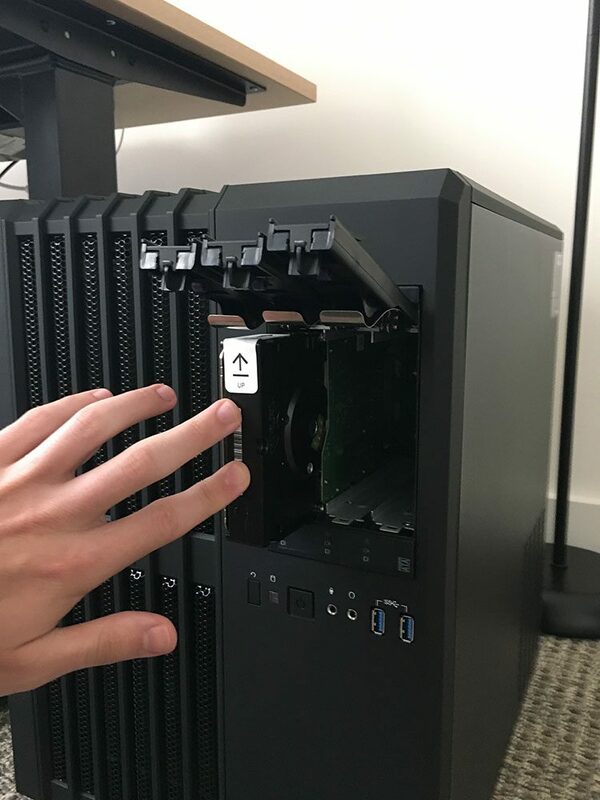 Figure 7: Make sure you connect your monitor to the first graphics card in the system. Figure 8: Booting the DevBox. 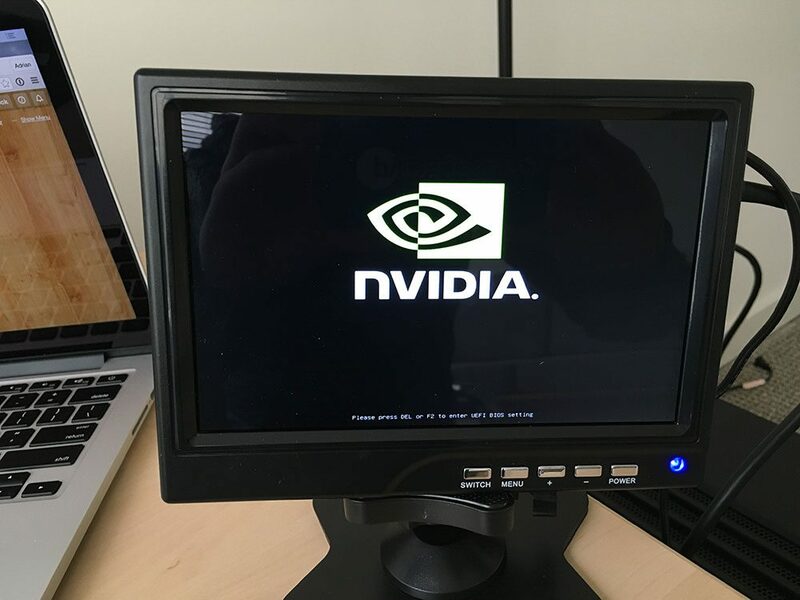 Figure 9: Going through the motions and booting the NVIDIA DIGITS DevBox. After the machine finishes booting, you’ll need to configure Ubuntu (just like you would with a standard install). After setting your keyboard layout, timezone, username, password, etc., the rest of the configuration is automatically taken care of. 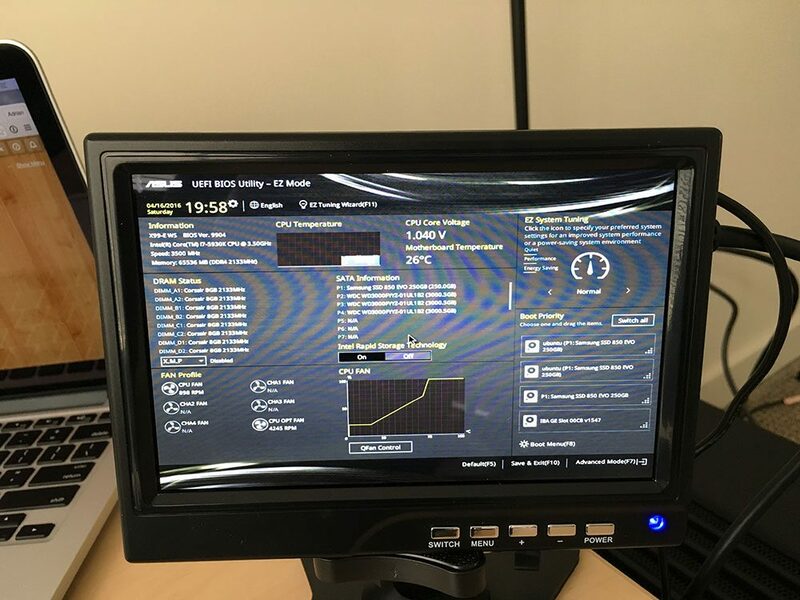 Figure 10: The BIOS dashboard on the NVIDIA DIGITS DevBox. Overall, I’m quite pleased with the setup process. In under 30 minutes, I had the entire system setup and ready to go. You’re not plugging that directly into the wall, are you? Protect your investment — get a quality Uninterrupted Power Supply (UPS). I’ll detail exactly which UPS (and rack) I chose in the next blog post. The images gathered for this blog post were mainly for demonstration purposes during the initial unboxing. In short, I would not recommend having your DevBox sitting directly on top of carpet or plugged into an outlet without a UPS behind it — that’s just asking for trouble. I’ll be doing a lot more deep learning tutorials on the PyImageSearch blog in the next year. It will start with a slow ramp-up over the next 3-4 months with more consistency building towards the end of the year. In order to facilitate the creation of better deep learning tutorials (and for use with my own projects), I’ve put my money where my mouth is and invested in an NVIDIA DIGITS DevBox. The DevBox was a delight to setup…although there are a few practical tips and tricks that I’ll be sharing in next week’s blog post. If you’re interested in diving into the world of deep learning, the PyImageSearch blog is the place to be. It’s worth noting that I already cover deep learning inside the PyImageSearch Gurus course, so if you’re interested in learning more about Neural Networks, Deep Belief Networks, and Convolutional Neural Networks, be sure to join the course. Otherwise, I’ll be slowly increasing the frequency of deep learning tutorials here on the PyImageSearch blog. Finally, be sure to signup for the PyImageSearch Newsletter using the form below to be notified when these new deep learning posts are published! I’m wondering why you didn’t go with Exxact Corporations offering. It’s $8K rather than $15K. I certainly hope you don’t have a good reason, since I’ve already ordered my deep learning dream machine from them. I honestly haven’t worked with them before — no good reason other than that. 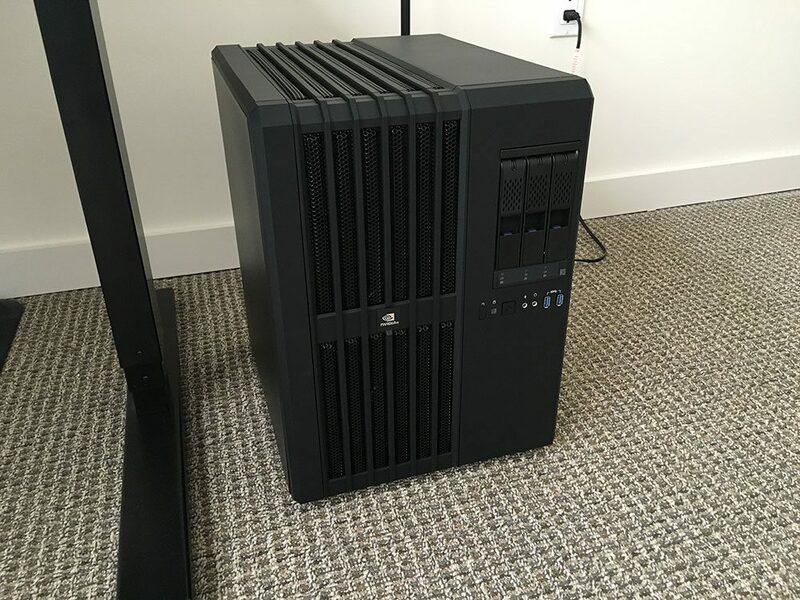 Enjoy your new machine, and let me know what you think of it! 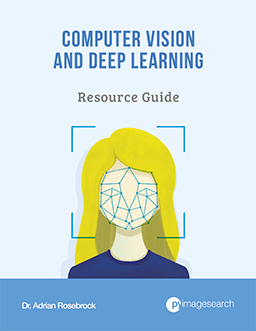 I’m sure anyone with a keen interest in computer vision has stumbled on ML articles and thought “Damn that looks interesting”, I know I have. My ML knowledge is VERY limited, and I for one am really looking forward to the next bunch of articles! Cheers Adrian, keep it up. You probably should pay more for the electricity, so your 15,000 price is not a constant. It also a line, but its slope is smaller that for the AWS GPU line. As I mentioned to Pim above, the utility cost will increase — but in terms of a business expense, that’s a round-off error at the end of the year. does this mean people will need this system to follow your future blogs? No, certainly not. I’ll be detailing how to setup an Amazon EC2 system for deep learning soon. You’ll also be able to run more the “more simple” examples on your CPU. The main reason I’m using the DevBox is for the speed, ability to work in parallel, and to facilitate tutorial creation. I am looking forward to see more your posts about deep learning. Thanks. Some thoughts: Figure 1 does not take into account the increase in computing power that will happen in the next 200 days. With the release of the Nvidia 1080 it reasonable to assume the cost of a g2.8xlarge will come down within the next 200 days. Similarly building a Nvidia 1080 based system now will be more cost effective than a Nvidia Titan X based system. and then there’s the noise, generated heath etc. Anyway, this seems to get really complex if you want to take everything into account. Enjoy your box and keep us posted! 1. The 1080 has only 8GB of memory versus the Titan X. Going from 4GB on the K520 is nice, but it doesn’t compare to the 12GB of the Titan X. 2. In my opinion, the 1080 is more geared towards gamers. It will likely be another year or two before NVIDIA releases another GPU that is heavily targeted at deep learning researchers. 3. Yes, running this machine will increase my electrical bill, there is no doubt in that. However, this increase is less of an issue (in my case) because it’s simply a business expense. The money has to come from some where, sure, but it’s not that big of a deal in the long run. 4. I presume that the g2.8xlarge price will decrease in the future. But by how much? And when? These are total unknowns. Congrats on the big investment. I look forward to the deep learning posts! Also–I think you made a slight typo and meant Three x 3 TB instead of GB on your specs! Thanks for the tip David! I’ve made sure resolve this issue. I’ll likely use TensorFlow in the future, but to start, most tutorials will be using Keras and mxnet. Thank you for the details! In fact, you are a great teacher and writer. Nice post and I enjoyed it very much. I particularly like the way you explain why you come to certain decisions. Just one question. In your future deep learning examples, would you expect readers to have more powerful machines? Currently, I’m trying out many of your examples in a VM in a typical Mac or sometimes, in a Raspberry Pi. BTW, I recently read a post about how Dan Goldin expand his scientific knowledge in a new area at 75 and build an AI startup. That amazed me very much. Anyway, look forward to learn more about deep learning. Hey Rick — most of my examples in future blog posts will assume that you have a GPU or an Amazon EC2 GPU instance. Some examples will be able to run on the CPU as well (although only the most basic ones). 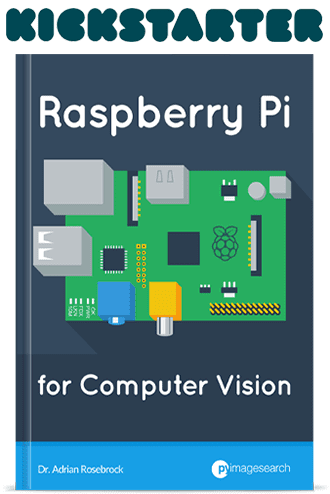 In general, I wouldn’t recommend using the Pi for the future tutorials. Nice to see some Deep Learning articles coming up. Would be nice to see some timing tests on your DevBox against Amazon (same code and data), and you may want to track power usage to offset the electricity cost. Thanks for the suggestion Duncan. And I’ll certainly try to provide timing tests when I can. Really great, waitting for your deep learning tutorials! There will be plenty of them! Most of them won’t. I’m trying to make it a goal that all tutorails will be able to run on EC2 instances. Some of the more simple tutorials will also (ideally) run on the CPU. Some addtional excellent articles on hardware for deep learning are at Tim Dettmer’s blog. Thanks for sharing! 🙂 I’m a big fan of the CS231n course — I’ve been through it myself and really enjoyed it. They did a fantastic job. OK, I’m green with envy. Don’t worry! I’ll be sharing the knowledge I learn from using this system. I see how Crazy you are to dive deep into deep learning…. Would love to see you work on one complex real world challenge. Thanks for the suggestion Sakhamo! Nice write up and a very nice box indeed. I’m still very much a beginner when it comes to Deep Learning, hopefully I can come up with a similar justification and logic for my own box in the future. Looking forward to your tutorials. The spot instances are a huge cost saver, but unfortunately they don’t work for me in my particular cases since I need absolute, uninterrupted run-time. But for the price, spot instances are great. Hi, have you been able to get TF to run on g2.8xlarge and actually having it recognize GPUs and parallelize across GPUs? I have not tried TensorFlow on the g2.8xlarge instance yet. For multi-GPU environments, I prefer to use mxnet. Just thought I would live my two cents here. Great post and great work. I have followed your work for some time now. Keep it up. In regards to your hardware, we build these systems in house for the work we done with machine learning, computer vision and drones. I have the parts up on PC Part Picker and here are the links to a few of these boxes we use. At a fraction of the cost obviously..
A lightweight simple workstation for basic stuff. The card that is on there now is not what we have in it – this is our base configuration. But we have the same set up with a 980ti Hybrid from EVGA and works great! One thing we will add a note here on is PC Part Picker itself. Its a great website and tool for doing your research. Moverover, they already filter out what is compatible and what is not so that makes it a whole lot easier. And it links it straight to Amazon. Each time we build a system it takes about 30-60 minutes top from start to finish. This is a great resource, thanks for sharing Daniel. In my particular situation, I still wouldn’t have gone this route, mainly because the time/cost tradeoff for me to setup the hardware (when I don’t like working with hardware) would not have been worth it for me. But for people who are looking to save money or enjoy the hardware aspect, this is a fantastic resource. Great Post! Thanks for sharing. We have procured a dev-box recently (not directly from NVIDIA though). We are 3-4 of us currently sharing this machine. Do you happen to know how we would go about setting up DIGITS for each user? Currently, everyone’s models are getting dumped into the same folder. Unfortunately, the box didn’t come with good pre-configured permissions set up for multiple users. I’m honestly not sure about a per-user install of DIGITS. I’m sure it’s possible via some PATH manipulation, but I would suggest posting on the official DIGITS GitHub Issues regarding that particular question. Have you had any trouble with cooling? My GPUs run at 84 degrees C, which is technically within limits, but still alarming. The fans never go higher than 50% duty cycle. I’m considering liquid cooling. I personally don’t have any issues with cooling, but it is something that I do keep a close eye on. Take a look at the Lamda DevBox which is (essentially) the same thing. Hello, Adrian! Thanks a lot for the link! Lambda DevBoxes look very interesting (Pascal GPUs: 1080TI, Titan Xp; Ubuntu 16.04; 10GBE). Hi Adrian. Had a look around and found this: https://elysian.ai/ which suits better. Do you know them? I have heard of Elysian but I have not personally used their products.